The newest single-player challenge in Hearthstone has officially dropped: The Boomsday Project’s The Puzzle Labs! 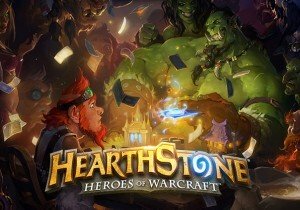 Players who log in for a limited time can receive three The Boomsday Project card packs for free. This new mode has over 100 different and challenging puzzles, which can help them earn Dr. Boom’s favor. Players are given specific scenarios and cards to work through these puzzles, designed to stretch your knowledge of card mechanics and interactions! Each lab represents four different puzzle types: Lethal, Mirror, Board Clear, and Survival. If players overcome all of these puzzles, they unlock The Boomlabs! card pack.